Cloncurry is a town situated in north west Queensland, Australia, 770 kilometres west of the city of Townsville via the Flinders Highway. The town lies adjacent to the Cloncurry River. It is the administrative centre of the Cloncurry Shire. At the 2006 census, the town had a population of 2,384. Cattle grazing is the significant industry in the region, and a large sale yards is located in the town. Cloncurry is known as the Friendly Heart of the Great North West. The population in Cloncurry decreased from 3,898 in 1996 to 2,900 in 2002. 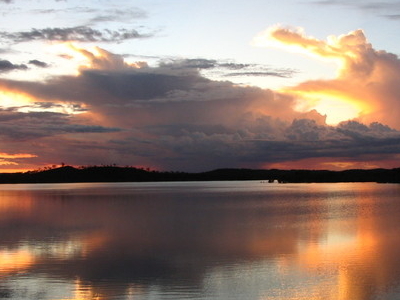 Here's the our members favorite photos of "Towns & Villages in Queensland". Upload your photo of Cloncurry!